Home grown food is tastier and cheaper. An option open to many! Sound second hand tools are available from car boot sales and charity shops. Second hand book shops can supply you with additional information on how to grow your fruit and vegetables. Just plant and sow at the right time of the year, go to your plot at least once a week and you will be amazed how nature provides to all who are trying. To make a real success of it, think in the following basic terms. Make sure you feed your soil on an annual basis byadding organic matter. This can be farmyard manure or green manure from the council or your own compost from your compost bin. The other basic requirement is to be ready to supply moisture to your fruit and vegetables when periods of drought occur. For this you do not need lots and large volumes of water. Just make sure you only put the water where it is needed. Close to the plants and trees by using drip irrigation and in many instances backed up with a water preserving mulch such as pieces of old carpet, layers of newspaper or cardboard, wet hay or straw or such like. As far as tree fruit is concerned, go for the smaller tree, if space is at a premium. If you want the trees to begin to crop the year after planting, go for the type of fruit you can grow anywhere in the UK. That is, apples on a semi dwarf rootstock. Make sure to ask for advice which varieties crop well and on a regular basis. 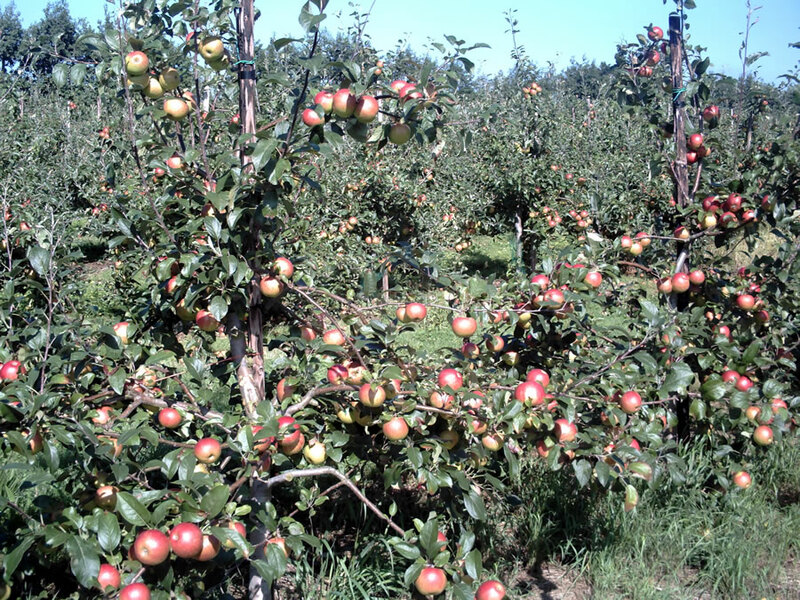 If you have plenty of room then plant apples on rootstock MM106. Pears, plums and cherries all take longer to come into production. Only consider peaches and apricots if you have a south facing wall with a good additional water supply. As I said Nature is very forgiving and it will give you plenty of time during the growing season to steer things in the right direction. By that I mean keeping the weeds down in order for your fruit and vegetables to do well. Now if you follow this approach, you will have the best and healthiest food. Far better and cheaper than your supermarket. What’s more, it is fun and relaxing to work with plants and trees. It will give you plenty of room to do things, the way you want to do them, at your own pace and in your own time.